You are looking at a Dtps. Leopard Prince Star orchid, which is not blooming in a conservatory, but in my humble kitchen. I received this lovely flower from my husband as a gift and it is a wonder. 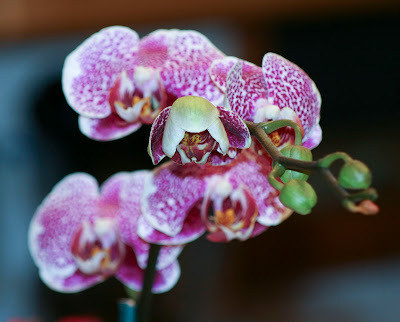 I have taken several photos of the flowers and as each bud opens fully, I am recording that too. I used to be afraid to purchase orchids because I thought they were too fragile for my gardening skills, so the only time we saw them was in nosegays. But things have changed. 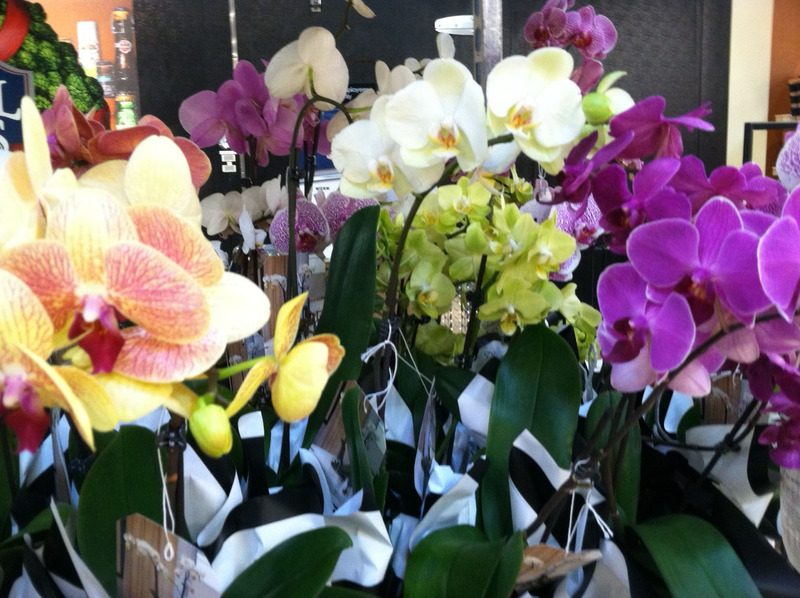 I saw rows of orchids on sale at our local grocery store last week (see below). The price was reasonable, and they are so gorgeous that it's a great way to brighten up the gloom of winter. There's nothing to be afraid of, just enjoy.